I’ve dabbled in juice but I’ve yet to hit the big time and purchase my own juicer. You could say I’m more of a social juicer than an addict. 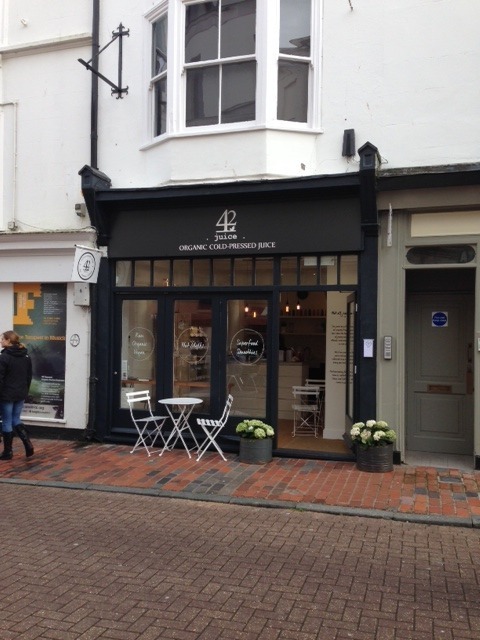 So when my friend Anna joined the 42 Juice team and opened up their first shop by the sea in Brighton I had to give it a go. Their juices are cold-pressed (think fruit and vegetables being squashed between 2 surfaces under huge pressure) rather than extracted in a centrifugal juicer (which allows air in and starts the oxidisation process and therefore degrades the nutrients). 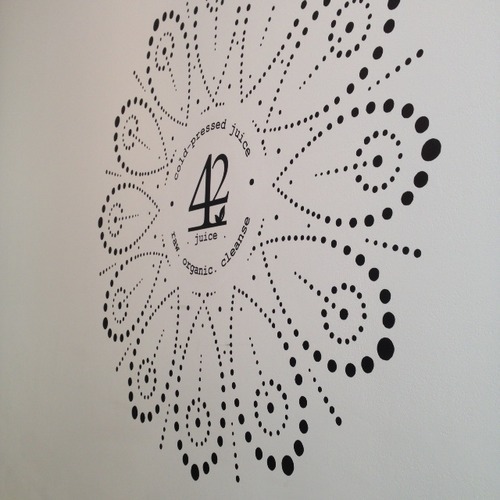 All of their ingredients are also organic and sourced as locally as possible. As well as making fruit and vegetable juices they also make nut milks (some flavoured with cacao or coffee), chlorophyll waters and revitalising shots of goodness. This little yellow stick of dynamite was one of the most intense and delicious things I’ve ever tasted! 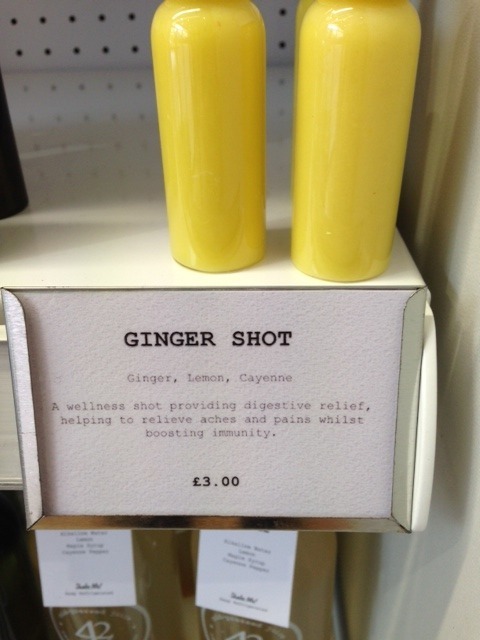 It’s citrusy, fiery and you can feel it going all the way down your throat. It’s like a shot of espresso but a million times better, you have to try it. 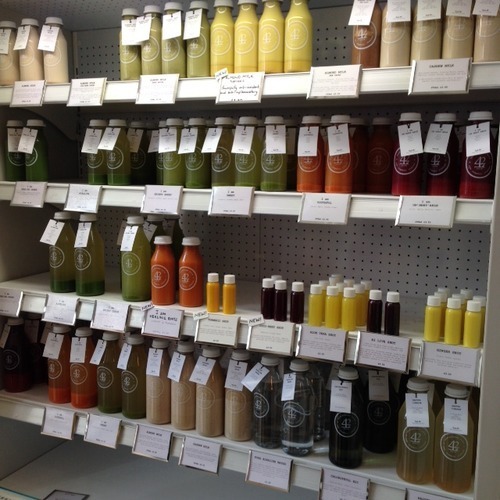 They also do smoothies with delicious mixes of fruit, veg and supplements in. 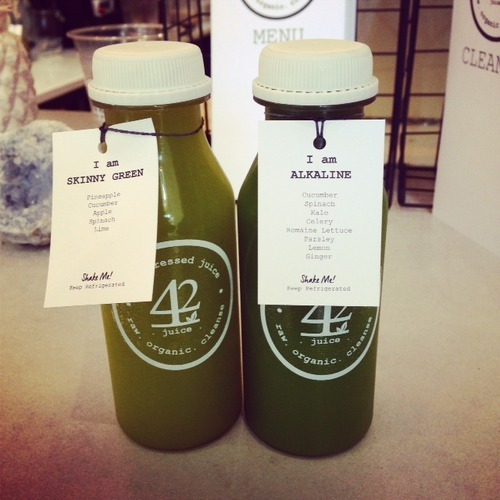 In fact, the ratios of ingredients are so perfect that my boyfriend loved his smoothie with spirulina in! It gave it an earthy flavour while not overpowering the other ingredients. 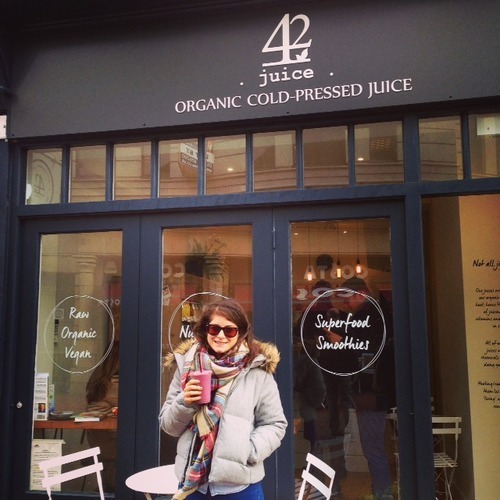 If you live in Brighton or even if you’re just visiting, make sure you drop in for a juice, you’ll love it!